St. Patrick’s Day is almost here! 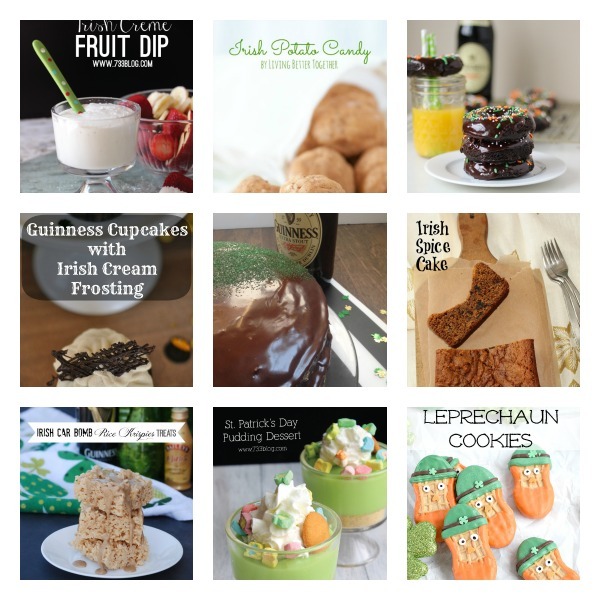 It’s also Irish American Heritage Month so I need as many recipes as I can get to celebrate my heritage all month-long. Last year I did a traditional Irish recipe almost everyday. It was a lot of fun and we made everything from scratch. We had a few fun recipes, too that were more about being silly and green than being traditions. 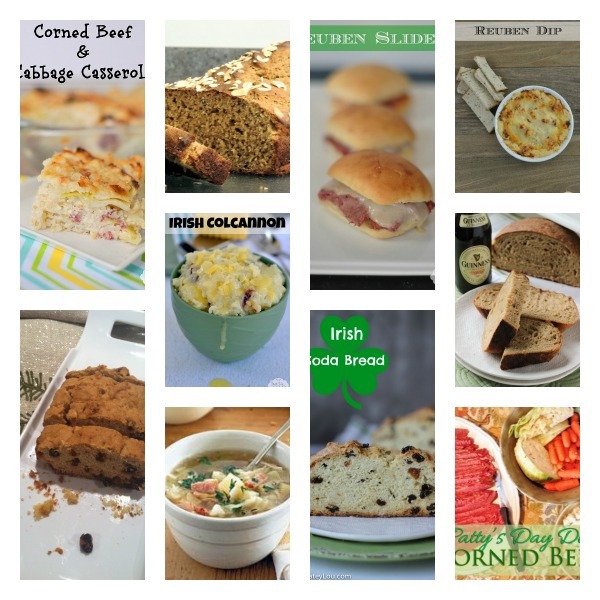 You can find the traditional Irish recipes on my recipe page. I’ll be making a few recipes this month to add to the list, but I thought for today I would enlist in a little help from my blogger friends. So, I bring to you over twenty of the #yumeating picks for eats – desserts, meals and even a few beverages. I hope you enjoy! Leprechaun Cookies from Home. Made. Interest. Disclosure: All photos used with permission. Looking for some crafts? Check out my round-up post of super fabulous crafts! Thank you so much for sharing my recipe. Off to check out the others. Pinned! These all sound really good. 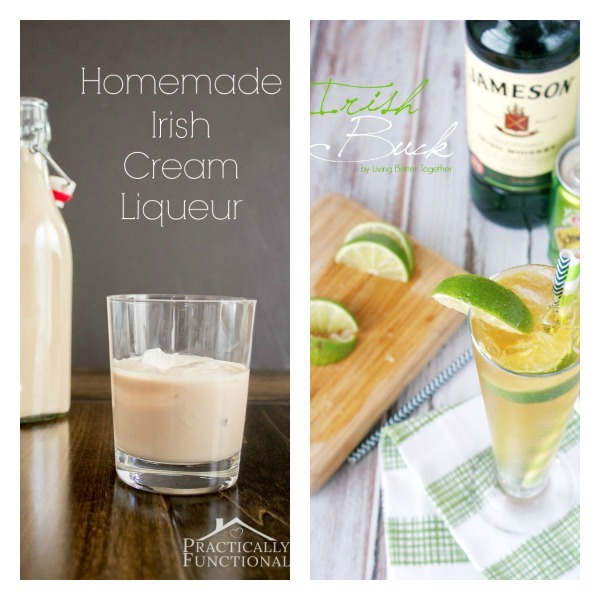 I would love to try homemade Irish Cream Liqueur. There are so many great ideas here! My husband loves St. Patrick’s Day. I need to try a few new recipes for him. These are great recipes! Those Reuben Sliders look delicious. Yum! My husband’s side of the family is Irish and we haven’t really ever celebrated it because we have an irrational fear of corned beef and cooked cabbage. I can’t wait to try some of these other recipes and share with our kids. Thanks for this collection. MMM! So many good choices! The leprechaun cookies are just adorable! I just noticed the leprechaun cookies. I love them and need to try them this weekend! I hope you do give them a try. I’ve never been a corned beef and cabbage kind of gal. What I can’t get enough of though, is Irish Soda Bread…I am addicted to it! I love the currants and raisins! St. Patrick’s Day can be such a grown-up holiday, but there are so many family-friendly recipe here. Can’t wait to try some of them out. The Corned Beef and Cabbage Casserole sounds perfect. I needed a good casserole to make around St. Patrick’s Day! There are so many great recipes here. I can’t wait to try out the Irish Soda Bread. 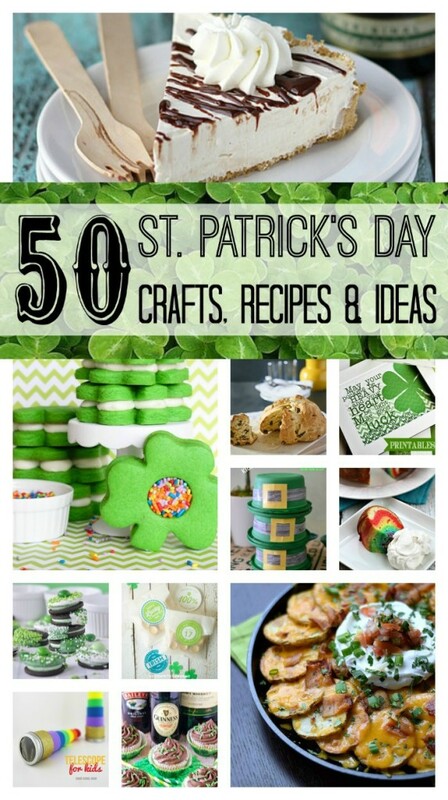 What an amazing collection just in time for St. Patrick’s Day! I think I need to make most all of these recipes especially the Guinness Stout Chocolate Cake with Irish Whiskey Ganache 🙂 Super Yum! Oh this is perfect. Some great and tasty ideas. These are some great Irish inspired recipes. I particularly want to try the Reuben sliders! I love the sliders in the first picture. It’s making me hungry! Corned beef and cabbage DEFINITELY reminds me of St. Patrick’s day. Thank you for reminding me of that! Look at all of these recipes!! I really love the cute Leprechan cookies!! So many great ideas! I’m going to check out those Irish Car Bomb Rice Krispies! So many great new recipes to try out. I used to make the Irish Soda Bread. We make a lot of Irish soda bread here. It’s very easy to make and budge friendly. You can add a lot of different spices for a variety of flavors. So many great looking recipes to chose from. I think I will try some kind of corned beef recipe just not sure which one yet. The clover cookies are too cute! I’d like to try the sliders too!